If your DVD have no copy protection, Handbrake would be a nice choice for its free. But for commercial DVDs, you have to search for a powerful enough DVD Ripper that can succeed in breaking down the DVD encryption. Pavtube BDMagic should be your first consideration. It can convert any commercial and region-locked DVD to NAS with both Kodi and Samsung TV supported format. 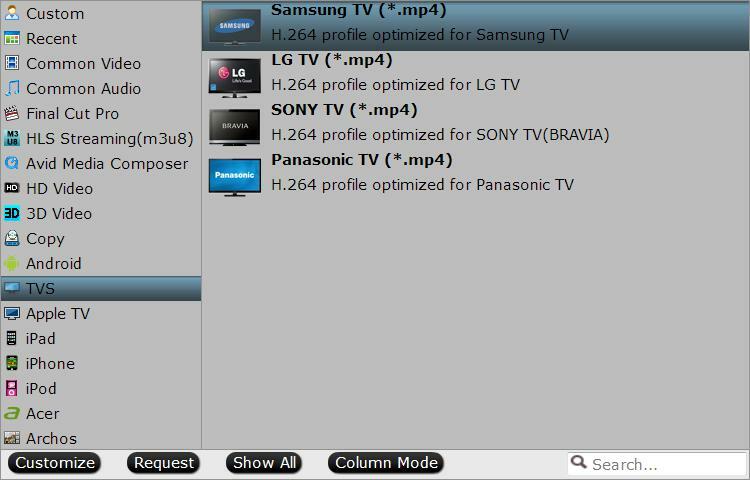 What’s more, it has optimized preset for Samsung TV so that you needn’t adjust video/audio size, bitrate, frame rate, channel on your own in “Settings”. 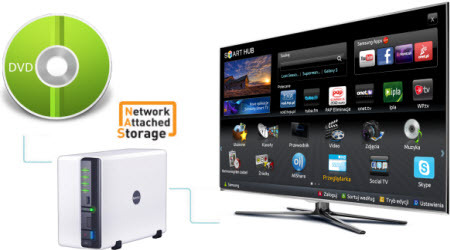 How to Convert Family DVD to NAS for Viewing via Kodi on Samsung TV 55 inches? Step 1. Add DVD disc movies. Insert yourDVD disc into an DVD drive, run the program on your computer, on the main interface click “File” > “Load from disc” to import the DVD disc to the program. Click “Format” drop-down bar, scroll down to select “TVS” > “Samsung TV (*.MP4)” as the output file format for directly playing on Samsung TV. Step 3: Start DVD to Samsung TV format conversion process. One click the big button “Convert” on bottom-right corner to start conversion. After the conversion, click Open button to find the output files. Make sure the wireless network connection is accessible among the NAS and Samsung TV. Then just enjoy the high quality DVD movies with Kodi player on Samsung TV. Get Christmas Pavtube BDMAgic Coupon on Pavtube Official Site and Pavtube Facebook.